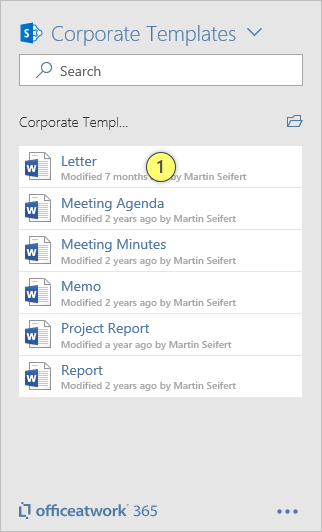 Once you have loaded a template library you can easily create a new document base on a specific template by clicking anywhere (1) on to one of the listed templates. Please note: Dependent on your Office application and its version you might have to complete the download of the template via your browser. In that case follow the on-screen instructions and switch to your browser to download and open the template. 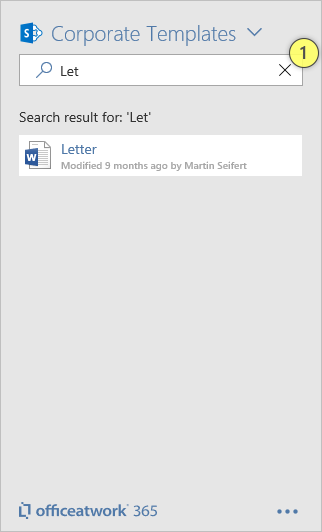 Use the search box (1) to search for contents with a specific name within the active template library. 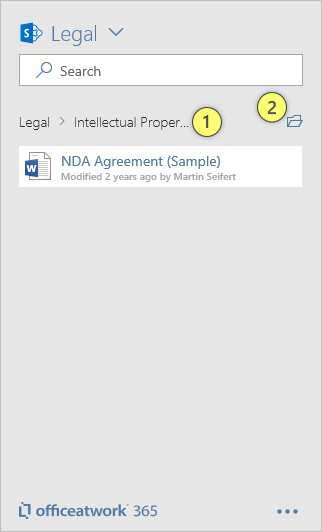 To manage your templates of the currently loaded library you just need to click on the «View Online» (2) button. To manage templates from a different library you just need to switch to that library first before clicking on the «View Online» button.